The sunshine state otherwise known as Florida has sand castles all around the coast, but have you ever heard of a coral castle in Florida? Well there is one and it has a mystery behind it. A 5 foot, 100 pound man who moved from Latvia to America by the name Edward Leedskalnin supposedly built this whole piece of art by himself in Homestead, Florida. The whole castle is made of sedimentary rock which is a limestone and he made into shaped walls, tables, and crescent moons, so the mystery is how did almost 100 years ago this little Latvian man build it all by himself over the course of 20 years (Radford). Wally Wallington a construction worker tried to replicate the work that Ed would have done to complete Coral Castle. Wallington said it is somewhat possible with the pull and levy technique, since there was not machinery while Ed was building the Castle. But there also is the belief that he had a unique insights to magnetism and electricity. People don’t know if it was on a spiritual level or he had built machinery since Ed unusually worked on building it at night with tall walls surrounding his work, he was very private (Dunning). Another theory behind the castle was that, local teenagers would spy of Ed at night while he was hard at work and they stated they heard him sing and see him lift his hands and the work would be done (Wagner). Why wouldn’t other people do the same thing as him then? It all is a mystery like the 9 ton gate that sits at the entrance to Coral Castle could be moved by the touch of a finger, when Ed was still alive and gave tours of his beloved museum people were fascinated, but later once Ed had passed away workers took down the gate and noticed a metal rod was the reason behind the work. But still how did the little Latvian man do all this work by himself? Apparently Ed had recovered the secrets of the pyramids and he just knew how the Egyptians were able to create the massive pyramids, so that could of been a way that he built Coral Castle (Wagner). The reason Coral Castle was built was for Ed’s former fiancé Agnes Scuffs. He moved away from his home country to America in hopes to get over his heartbreak when Agnes called off the wedding leaving Ed completely heartbroken. His broken heart couldn’t be fixed so he started to build Coral Castle in hopes that Agnes would take him back and the little Latvian man dedicated the rest of his life to building this for her, but it quickly became an obsession. He invited her in countless letters to come visit the castle and take him back, but his dream sadly never came true. 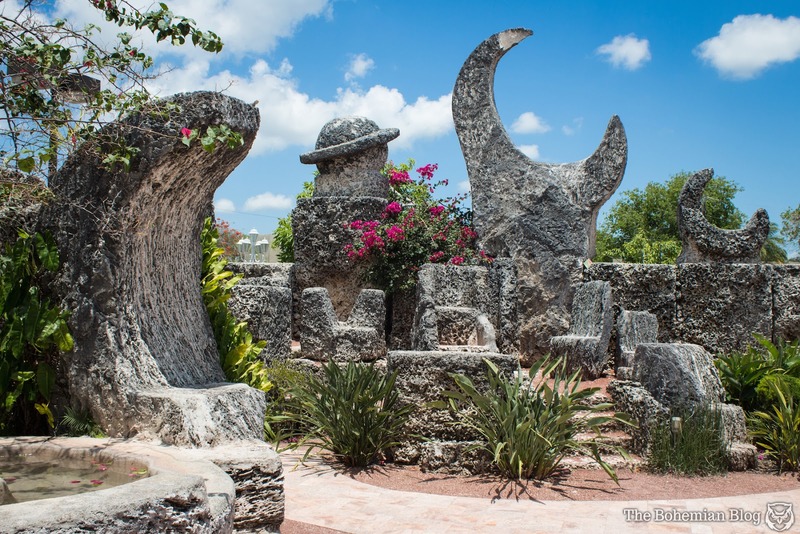 Coral Castle is just a handful of places that have a mystery of how they were built or how they appeared there. But this one stands out in its own way Edward Leedskalnin dedicated his whole life into his love story and built a quite beautiful and mysterious now Museum that is toured and tells his love story to many tourists and local residents of Florida. Dunning, Brian. “Coral Castle.” Skeptoid. 2009. McLachlan, Sean. “Coral Castle: Testament to a Broken Heart.” Gadling.2012. Radford, Benjamin. “Mystery of the Coral Castle Explained.” Live Science. 2013. Wagner, Stephen. “The Secrets of Coral Castle.” About Entertainment.n.d. “9 Ton Gate- Megalitihic at Coral Castle, Florida.” Phenomal Travel Videos. 2015.